Dubai and Abu Dhabi in the UAE offer the best quality of life in the Middle East and Africa. This year, only two cities in the MENA region were ranked among the top 100, namely, Dubai, with the 75th place (number 1 in the region) and Abu Dhabi, with the 81th place (more than the number 2 in the region). For the fourth time in a row, Dubai is considered the best city in the Middle East. The quality of life provided by the emirate is due to the fact that it is not taxed. The place is famous by its line of restaurants, supermarkets and entertainment venues. 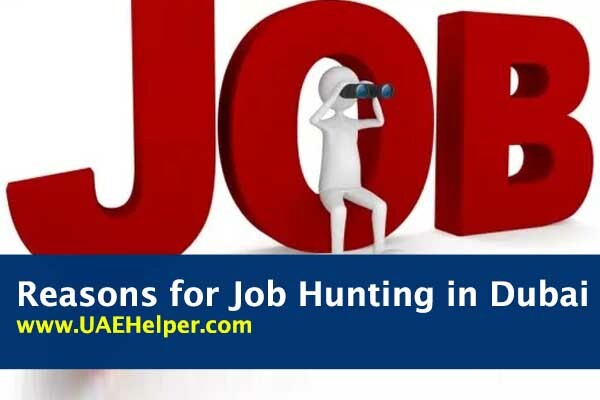 One of the reasons for searching jobs in Dubai, Dubai is one of the best countries in the world in terms of security. No matter what time of day you leave, you can walk freely through the streets of the Emir without fear of being robbed or pick pocketed. The crime rate in the emirate is practically absent and the police work efficiently and quickly. Companies are growing in a secure environment and Dubai offers a favorable environment for investors, along with strict corporate laws to meet the needs of foreign investors. The growing network of roads, railways, ports and development projects is no longer a flash of eye and is being modernized. On the eve of Expo 2020, the construction sector in Dubai is ready to surpass the UAE common market, although growth in the UAE is expected to remain at a good level of 6.6% despite of the low levels. Oil prices, according to market observers. Unlike most other cities in the Middle East, most of the people who work and live in Dubai are widely spoken in English. There is no language barrier in itself, which can be a serious obstacle for migrants. Knowing Arabic is definitely an advantage that can give you more opportunities to work. However, the majority of the local population speaks and understands English, which facilitates the work of immigrants from all over the world in terms of business relationships with locals. What is the benefit of staying away from your family if you cannot save enough? Dubai offers the best tax-free investment opportunities for residents who want to live comfortably and luxuriously. You do not have to pay a property tax, company tax or income tax. Dubai, with its diverse work and diversity of staff, is undoubtedly the largest base in international trade. It is a global financial and commercial center that offers many opportunities for those who dare to dream a lot. The growing economy is amortized in all sectors, which generates a constant influx of investors and workers who want to benefit. This is the city that has risen to the top of several global charts, thanks to which investments in key sectors of the economy such as real estate, finance, services and hospitality have become a profitable business for thousands of people. From the vast desert to the deep sea, and everything in between, Dubai is a paradise for tourists. The economy of the city gradually changes from dependence on oil to tourism and hotels. Every year, a large number of tourists visit the Emir to admire the numerous leisure and entertainment facilities of the world offered by the city. Faced with this trend, many foreign investors are investing heavily in the tourist industry of the emirate, hoping to get a good return on their capital.